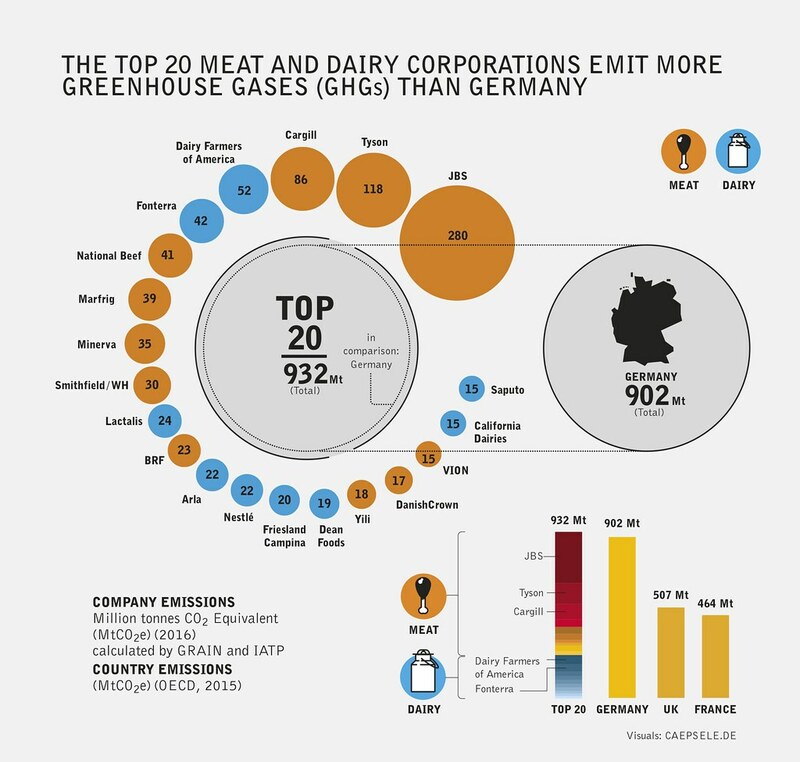 The top 20 meat and dairy corporations emit more greenhouse gases (GHGs) than Germany, as our fact sheet shows. The authors note that commitments made by governments meeting in Bonn to keep global temperatures from rising above 1.5 degree or even 2 degrees will not be possible without addressing the staggering emissions from the meat and dairy industry. 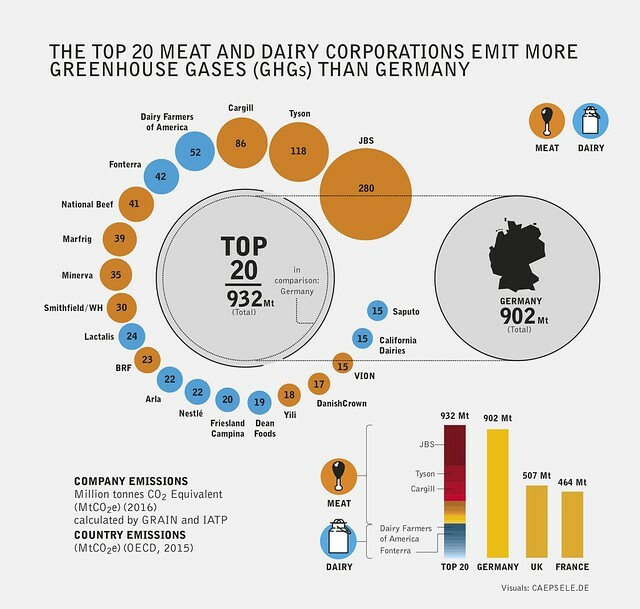 By 2060, growth in meat and dairy production, driven in large part by these companies and by the industrial food system that they represent, is on course to take up the entire budget of global emissions under a scenario of a 1.5 degree increase targeted under the Paris Agreement. Business as usual, growth of meat and diary production makes the Paris Agreement impossible and climate catastrophe inevitable. Our Factsheets published by IATP, Grain and Heinrich Boell Foundation shows the data and possible solutions. The infographics are available for download.